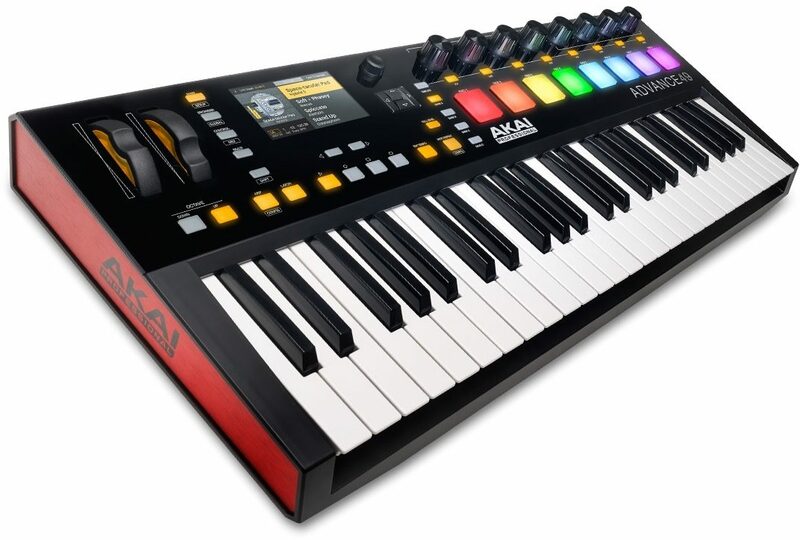 The Akai Professional Advance 49 MIDI controller keyboard gives you unprecedented playability and unrestricted manipulation of any virtual instrument with Akai's exclusive interactive, full-color display, complemented by performance-friendly hardware controls. 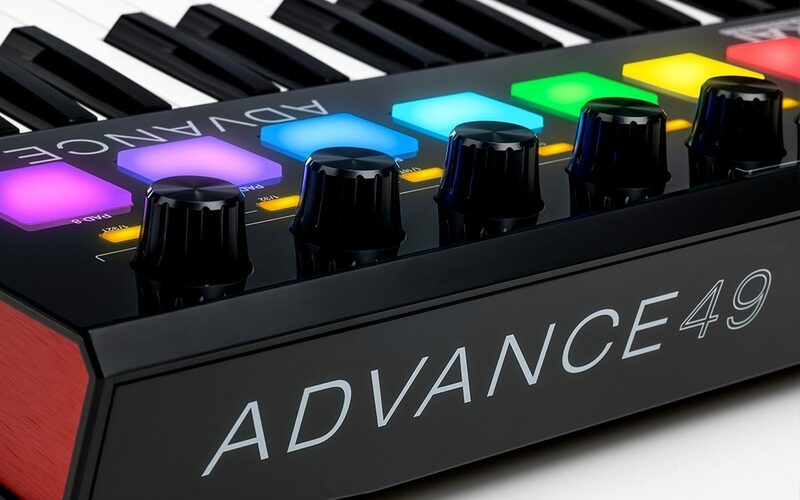 The Advance Keyboards deftly fuse the power of software instruments with the live playability of a keyboard workstation, so you can create like never before. The dividing line between software and hardware instruments is finally gone! The Advance Keyboards transform computer-based plugins into an entirely hands-on playing experience. The keyboard surface features an integrated high-resolution full-color 4.3-inch display, providing real-time control and feedback of all virtual instruments. The screen instantly adapts itself to the selected plugin's controls, delivering immediate 1:1 access to the instrument and various editable functions. Better yet, the Advance Keyboards work with any VSTi virtual instrument. Using the Advance Keyboard's custom-designed Virtual Instrument Player (VIP) software application, your entire VSTi library is controlled by one application. VIP operates as a plugin inside any major digital audio workstation (DAW) or as a stand-alone application on both Mac and Windows operating systems. Dedicated physical controls are thoughtfully included, with the RGB backlit, velocity- and pressure-sensitive pads on each keyboard surface. Rubberized pitch and modulation wheels provide simple, direct note manipulation with musically natural action. Easily-gripped, continuously-variable endless knobs let you make adjustments with granular or dramatic effect. Akai's custom semi-weighted, velocity-sensitive keybed supports aftertouch, making it the ideal keyboard for seasoned live performers and studio producers alike. VIP software users can also create setlists that provide on-demand access to your customized instruments for stage performance and studio work. By simply pressing a single button on an Advance Keyboard, you can adapt to song changes as the live performance progresses-without ever reaching for your computer. That's what you want! You'll also love VIP's facilities for hyper-fast instrument and patch browsing, key zone splitting, layering of up to 8 instruments per VIP instance, expansive custom mapping capabilities, and support for any VSTi plugin. You can run as many instances of the Virtual Instrument Player as your computer allows. VIP runs as a VSTi, AU, RTAS or AAX plugin, allowing you access to VSTi's in virtually any DAW, such as Pro Tools, Logic Pro X and Ableton Live. zZounds is an authorized dealer of Akai products.